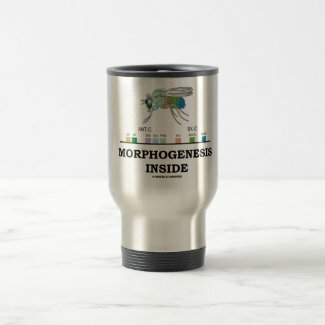 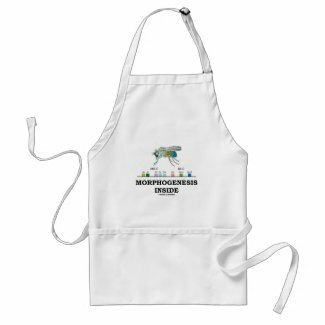 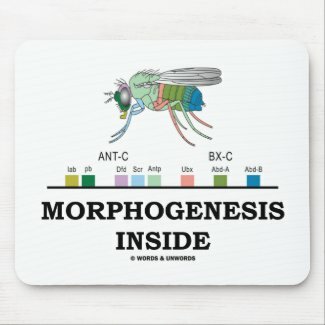 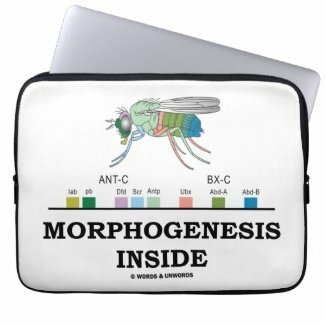 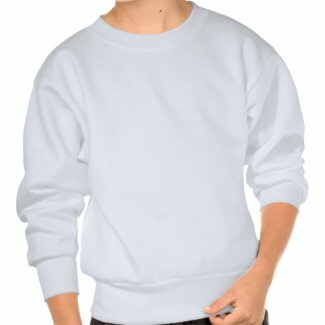 Showcase your scientific side with a dose of educational, scientific fun with any of these gifts featuring the homeobox genes of the Drosophilia (fruit fly) along with the caption "Morphogenesis Inside". 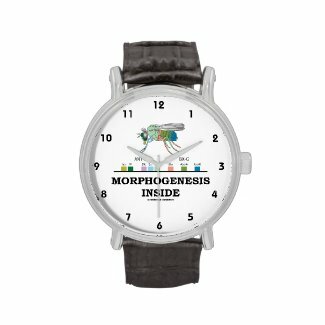 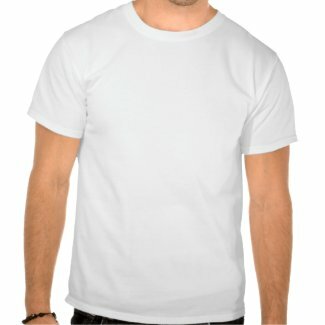 Morphogenesis is the biological process that causes an organism to develop its shape. 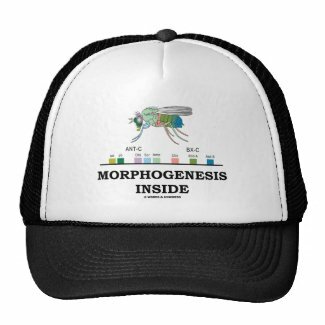 No need to be a developmental biologist to enjoy!